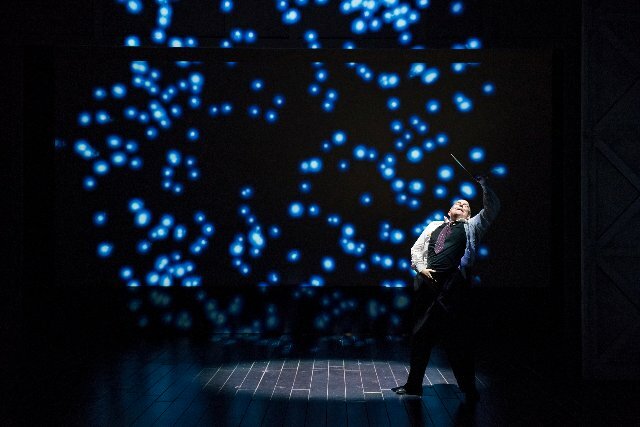 As the mostly sold-out shows for the Boston Lyric Opera’s premiere of Schoenberg in Hollywood attest, the internationally acclaimed composer Tod Machover’s brilliant operatic treatment and modernist-like musical score shines. 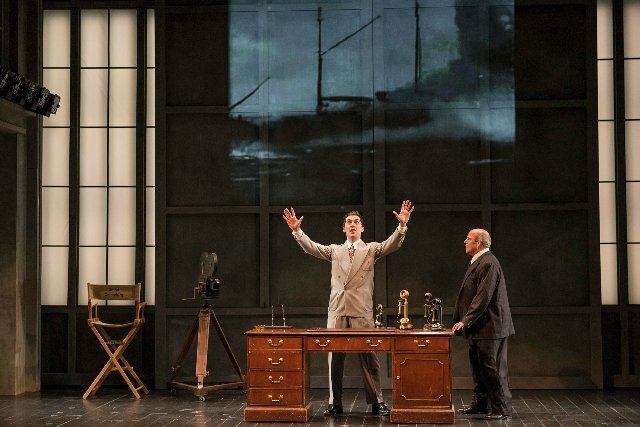 Combined with librettist Simon Robson, and Machover’s music, the storyline focuses on the transition to U.S. exile of the legendary modernist composer Schoenberg who flees Nazi Germany only to find a life-changing jolt of modern Hollywood in the 1930s. Schoenberg, superbly acted by Omar Ebrahim, with a rich baritone voice, is shown to his audience in full confidence of musical genius but faced with the history of traumatic horror of Jewish persecution in Europe leading up to the outbreak of WWII. 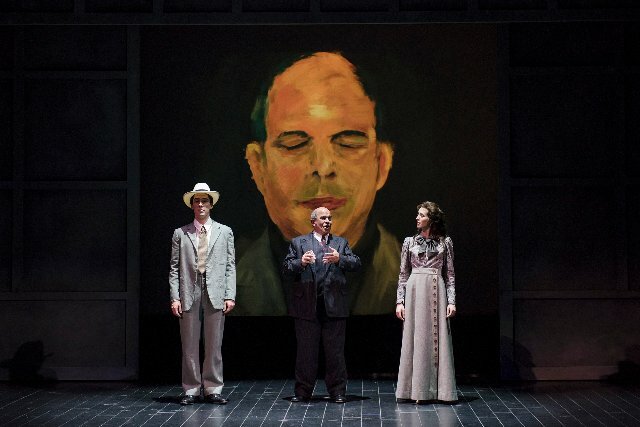 Schoenberg’s life represents a remarkable intersection in this period of “violent human atrocities”, in a world where Hitler, Stalin and allied leaders Churchill and FDR will shortly command the theater of war. 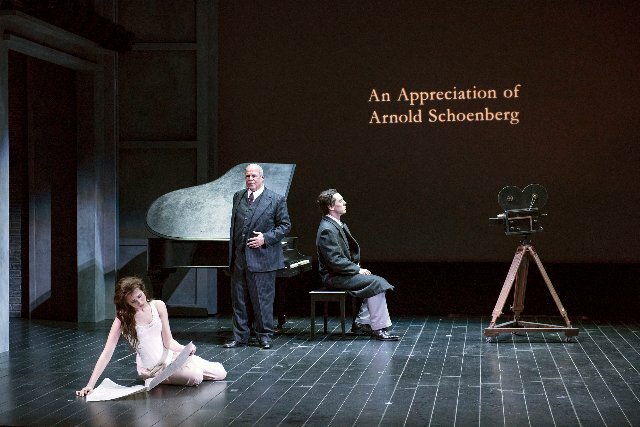 Schoenberg in Hollywood dramatizes many of these moments in his life, as the character of Schoenberg strives to find artistic meaning in the wake of brutality and personal loss. The relevance of current headlines of masses seeking escape from horrendous civil wars, famine and economic strife makes this opera ever more immediately potent. The three-person cast delivers a perfect pitch of balance for the lead character, Schoenberg, played with alternating authority, authenticity and humor, by Omar Ebrahim. The two other characters, simply known as “Boy”(Jesse Darden) and “Girl”(Sara Womble) galvanize the period song and dance routines, flawlessly carrying-off the many stage transitions. 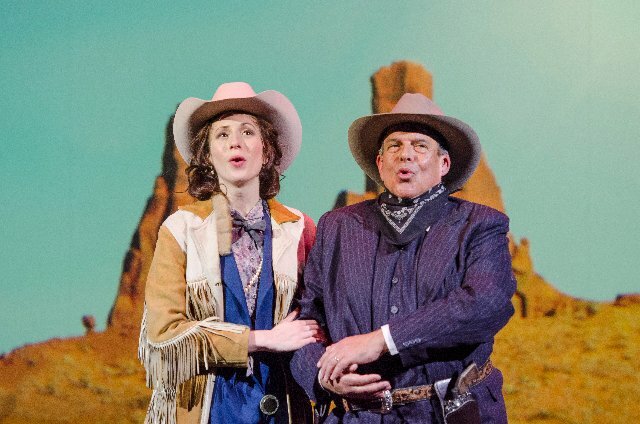 Coupled with costumes and style with perfect fashion, Jesse Darden and Sara Womble add a wonderful invigoration and flamboyance to their roles to off-set the feelings of loss of equilibrium Schoenberg’s is experiencing. The staging (Stage Director, Karole Armitage) and set designs (Set Designer, Simon Higlett) are superbly managed, seamlessly taking the audience from the backdrop of Schoenberg’s tumultuous pre-war European life and anti-Semitic trauma and then dumping him into the present-day 1930’s burgeoning Hollywood film industry. The tight juggling of stage direction and quick changing sets, that are all elaborate and clever, effectively moves the storyline forward in a challenging one-act performance environment. Schoenberg’s new world reality in America is scripted with sharp impact showing a very naïve mood characterized by the MGM film producer Irving Thalberg(played by Jesse Darden)that effectively and abruptly ends the “old” world (European) order.